In 1997, a group of investors led by Craig Leopold proposed an expansion franchise to the NHL for the city of Nashville, Tennessee. Not known for its hockey, but rather its country music atmosphere and southern sports of baseball, basketball and football, the game should not have worked in Music City. 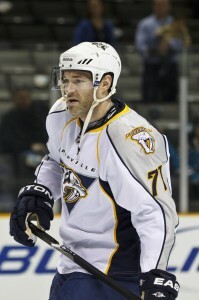 However, commissioner Gary Bettman took a gamble and added the Predators to the league in time for the 1998-99 season. Now, advance 16 years later. Hockey has grown in Middle Tennessee thanks to the Predators’ success and elite players of Pekka Rinne and Shea Weber. Youth hockey has improved tremendously and it has shown at the AAA levels with the Jr. Predators and TPH Thunder, who have competed against teams all over the globe. As talent has increased, teams and leagues are beginning to take notice. The NA3HL took the first steps in awarding Nashville with their first junior hockey team on May 1. Nashville is one of three new teams entering the 2013-14 season alongside the Point Mallard Ducks and Texas Brahmas. They will join the South Division of the league already including the Dallas Jr. Stars, Sugar Land Imperials and Topeka Capitals. The Nashville club, yet to be named, will play their home games at A-Game Sportsplex in Franklin, Tennessee, approximately a 20 minute drive south from Bridgestone Arena. Owners of the team are Tim McAllister, JP Dumont and Brad Guzda of MDG Management, LLC. Dumont, a former Chicago Blackhawk, Buffalo Sabre and Nashville Predator with 822 career NHL games under his belt, works with youth hockey in the area and has played a big role. Announced Friday, reigning NA3HL head coach of the year Steve Howard will be the team’s first bench boss. Last season with the Flint Junior Generals, Howard coached the team to a 42-4-2 record and was responsible for the promotion of four players to the NAHL and the signing of three to NAHL contracts. Howard played defense for various leagues throughout his career including the ECHL with the Trenton Titans and Bakersfield Condors. During the 2006-07 season, Howard played the role of Reggie Dunlop (Slap Shot) and was a player-assistant coach with the Columbus Cottonmouths in the SPHL. Since then, the Burton, Michigan native has served as head coach of the Junior Generals and was a scout for the Waterloo Blackhawks of the USHL. The 31 teams in the NA3HL will play a 48-game regular season, followed up by the Silver Cup Championship Tournament, and participate in the League Showcase and Top Prospects Tournament. The regular season will begin in early- to mid-September. Notable alumni from the league include NHLers Paul Stastny and Chris Stewart.